Annoying noises like squeaks and rattles have become a significant quality issue for customers of passenger vehicles, light & heavy commercial vehicles, increasingly off-road vehicles, and even airplane applications. These unwanted sounds are a problem for numerous reasons including customer dissatisfaction, sizeable warranty expense, and the overlying difficulty to diagnose and fix. MB Dynamics offers an innovative line of Buzz, Squeak & Rattle (BSR) or Squeak and Rattle (S&R) Test Solutions, focused on helping to eliminate annoying noises through prevention, design verification testing, and production verification testing, before the product reaches the customer. At MB Dynamics, we have worked to earn a worldwide reputation for innovative BSR test solutions making us a leading worldwide supplier. 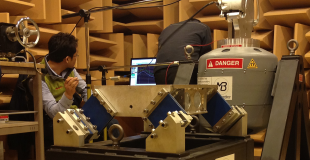 MB technology focuses on helping detect, diagnose and eliminate those annoying noises through testing solutions that are quiet for S&R, powerful for durability, and multi-axis for realism. These configured turn-key test solutions may include mobile data acquisition of road load data and in-vehicle noises, acoustic test systems for objective evaluation of acoustic quality in the lab or factory, weight-optimized fixtures, calibration, and training and engineering services. Our squeak & rattle test systems meet the strict requirements on low operating background noise of different test procedures such as GMW14011, FORD CETP-L-413, PSA STE9646364399, BMW PR311-2, and Hyundai Engineering Standards – some of which recommend MB equipment by name or in pictures. MB innovates and delivers quiet test equipment to replicate, in the lab, the on-road excitation conditions that can cause BSRs in material pairs, components (seat belt retractors, vent registers, audio/video/infotainment systems, IP clusters, etc), subsystems (instrument panels, seats, door modules, sunroofs including panoramic), and full vehicles. Test solutions are used during R&D/product development, prototype build, launch, and for quality audits during series production. 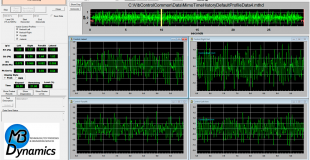 Simulation of on-road excitation can include PSD random vibration and time history replication plus sine tests for diagnostics. MB equipment is used in quiet rooms, hemi-anechoic chambers, and at environmental conditions from -40 degC to +65 degC. BSR Aging or causing degradation in BSR performance by accelerated lab simulation of customer-accumulated mileage / kilometers can be performed using the same quiet excitation equipment. Versatility! 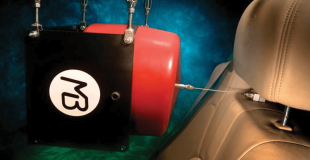 Click below to learn about the buzz, squeak, and rattle test systems available through MB Dynamics. If you have any questions do not hesitate to contact us.